Todd graduated from the University of Dayton in 1990 with a degree in Engineering Technology. After working several years in the engineering field, Todd decided to pursue his interests in the financial services industry. Prior to joining Wealth Planning Corporation, Todd spent close to a decade in the 401(k) industry, working with corporations to establish and improve their corporate retirement plans. 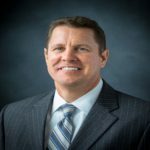 Following his desire to work more closely with individual clients, Todd joined Wealth Planning Corporation as an Advisor in 2011. Todd earned his Certified Financial Planner (CFP®) designation in 2014. A native of Cincinnati, Todd currently resides in Montgomery with his wife and three young children. Outside of work, Todd enjoys golfing, coaching, and attending his kids’ many activities. He is an active member of All Saints Parish, and a volunteer for the Leukemia & Lymphoma Society.